Relationships in the workplace have been under the spotlight in 2018, fuelled by the prevalence of the Me Too and Time’s Up movements and even Malcolm Turnbull’s infamous ‘Bonk Ban’. 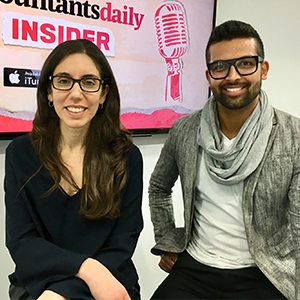 On this episode of Accountants Daily Insider, host Katarina Taurian is joined by colleague Jerome Doraisamy, journalist on both Lawyers Weekly and Wellness Daily to discuss why the issue has seen such scrutiny throughout the year and how these issues will likely look moving into 2019. They will discuss the difficult issue of workplace relationships and the rights of both the involved parties and the employer, how management can approach the subject with employees and when it would be appropriate to do so.